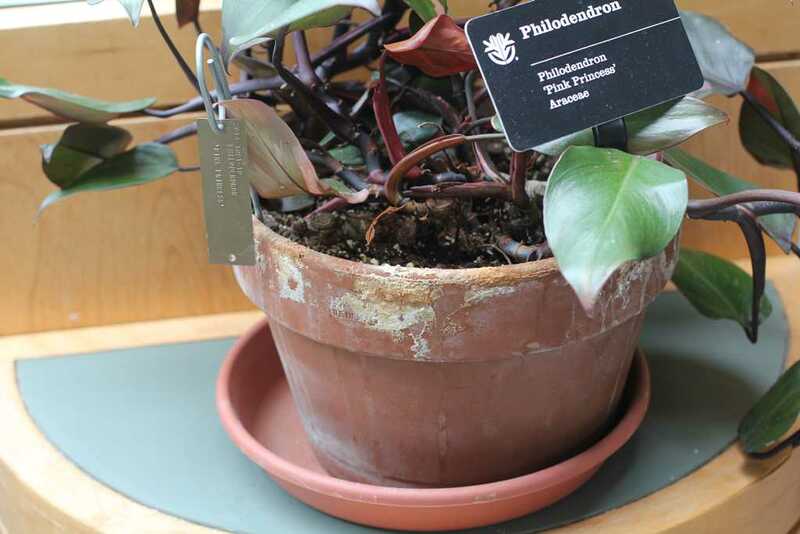 Diagnosing problems of indoor plants can be challenging. There are some easily recognizable insects (with the aid of a hand lens or magnifying glass) and a few common diseases but diagnosing problems caused by improper care or environmental conditions can be challenging. First, examine that plant thoroughly for insects. Use a hand lens or magnifying glass! Then, look for signs of disease. Generally, however, the lower humidity of indoor locations limits most foliar fungal diseases especially if there is good air movement. Bacterial diseases could enter the home environment from new greenhouse-grown plants or by improper watering practices. In some cases, a virus can be present that may only display symptoms under certain conditions. By far the greatest number of problems outside of insects is improper care. These are grouped under environmental problems. These can be difficult to identify. Don’t be afraid to tip a plant out of its pot to examine the roots. By doing so, a very dry root ball or signs of rotting roots may become obvious. 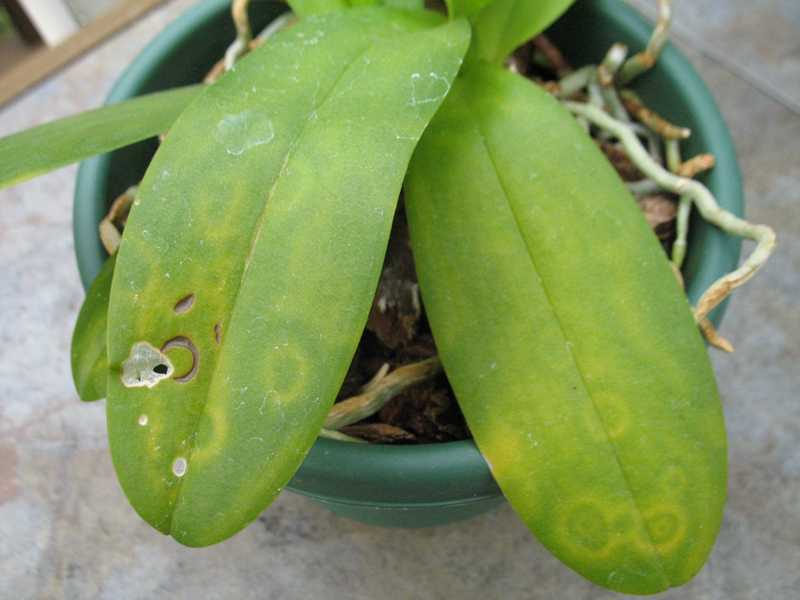 It is common practice for the plant problem diagnostician to follow the steps outlined above, namely doing a close examination for insects and disease. If these are ruled out, then examine the pot (does it have drainage holes? ), soil, growing location, watering practices, and other cultural practices for clues. And, don’t forget, a plant may have more than just one problem. 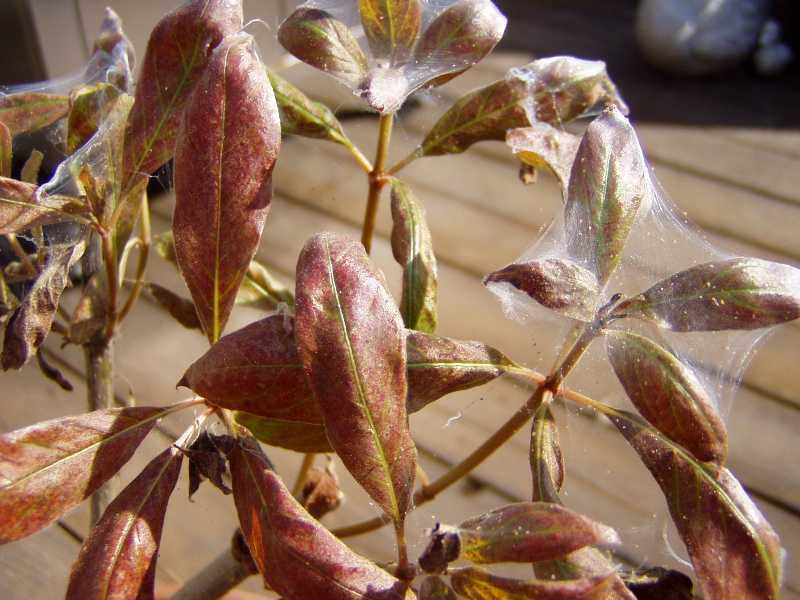 For example, the plant is covered with spider mites and also has been kept too dry. Some problems may be quickly obvious but others may take considerable sleuthing and still the cause may be elusive. 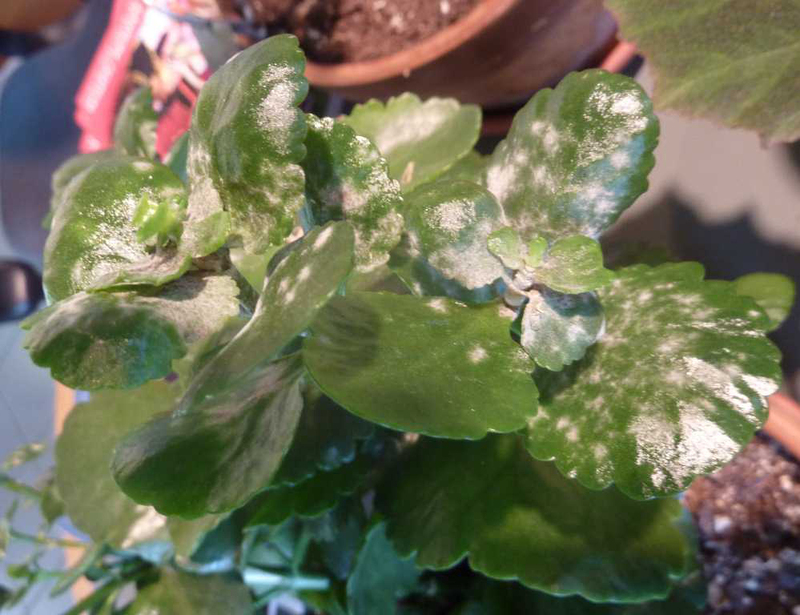 The following problems are some of the most common we see on many indoor plants. Click on a pest name below for more information and control strategies. Early symptoms may include stippled, yellowing and dirty leaves and webbing around flower buds and leaf tissue. Severe infestations can lead to leaves dropping or drying out completely. 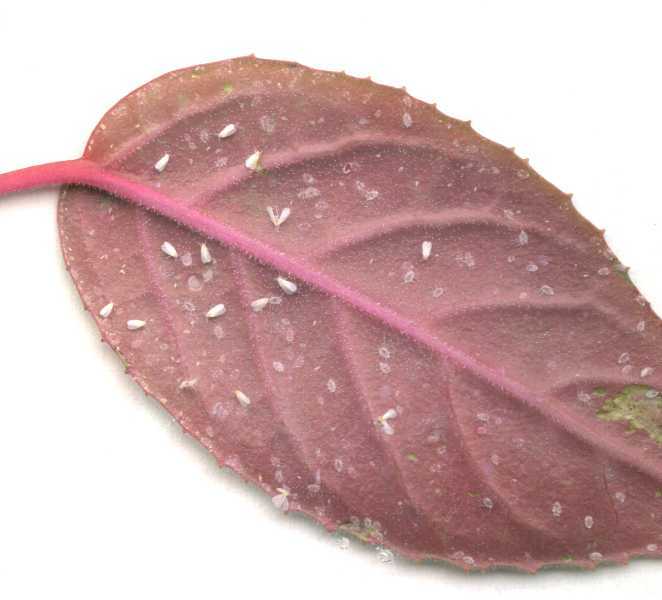 The mites (technically not insects) are about the size of pepper grains and can be found on the leaf tissue and in the webbing. Scale infested leaves may turn yellow and drop. 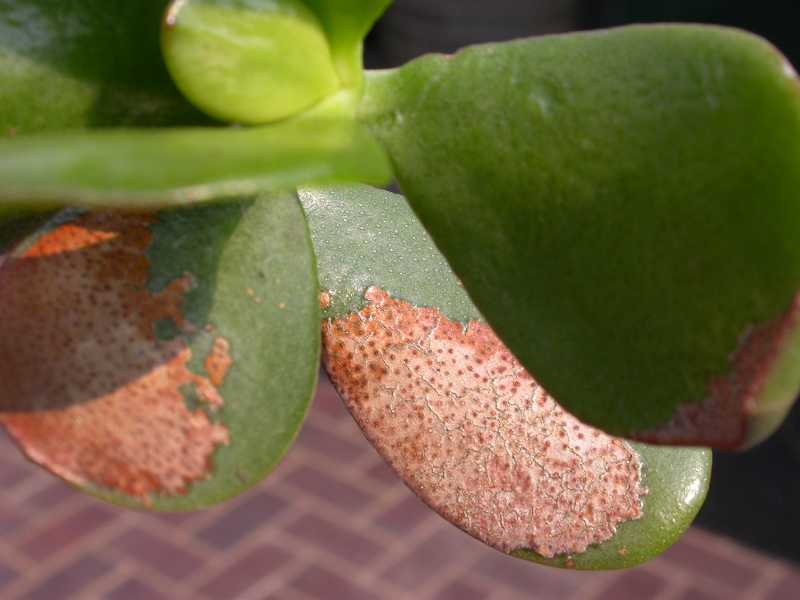 On leaf or stem surfaces, white, brown, grey or reddish cushion-like to scaly bumps can be easily detected and removed. The canopy of leaves, table and floor may be sticky. Symptoms include twisted growth, changing foliage color and smaller leaves. 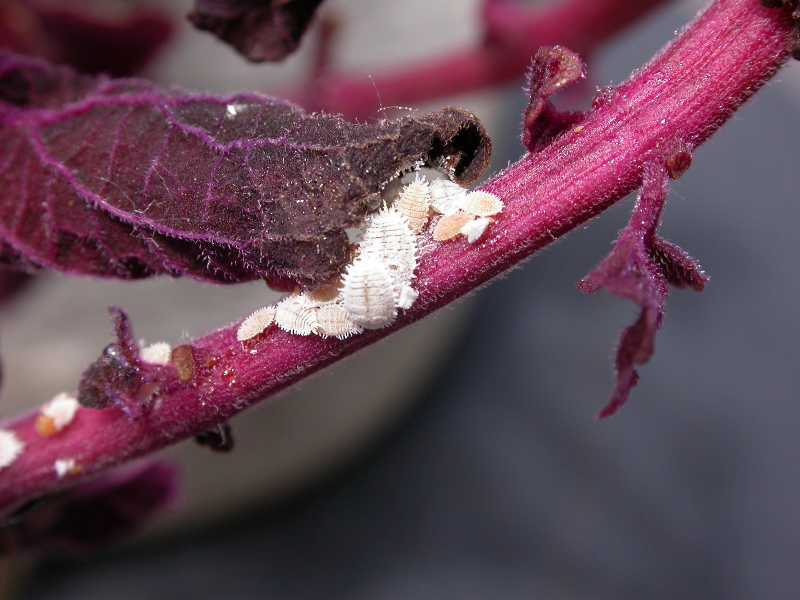 Soft-bodied insects about 1/8” can be detected clustering on the tip of the plants and the underside of leaves. The canopy of leaves, table and floor may be sticky. Infested plants may exhibit slow growth, wilting, and even death. 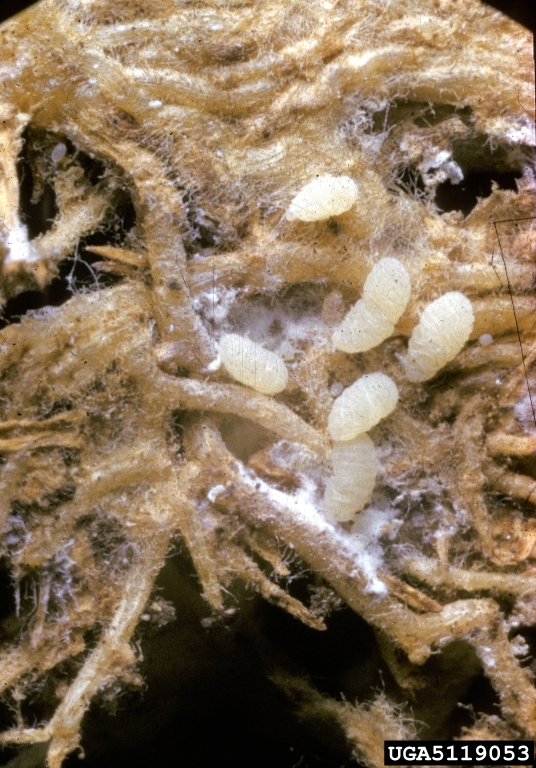 Small white insects the size of rice grain can be found on roots in the soil or on lower stems. Tip the plant out of the pot to examine the root ball. 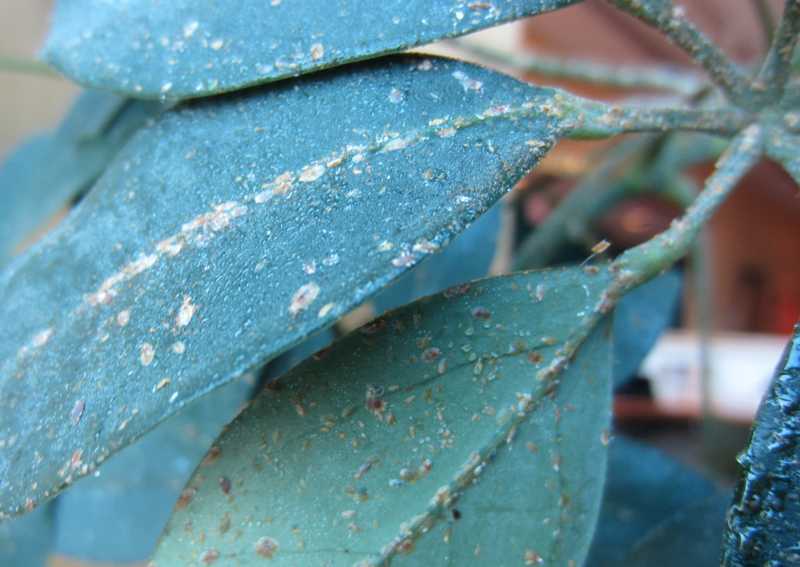 Plants with white cottony or waxy insects on the surface of leaves and stems or in leaf axils are most likely infested with mealybugs. 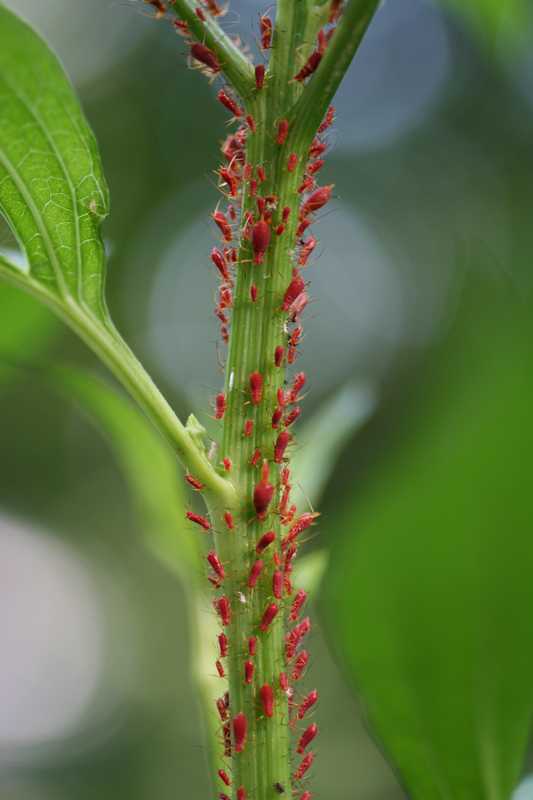 They are easy to spot and common on many indoor plants. 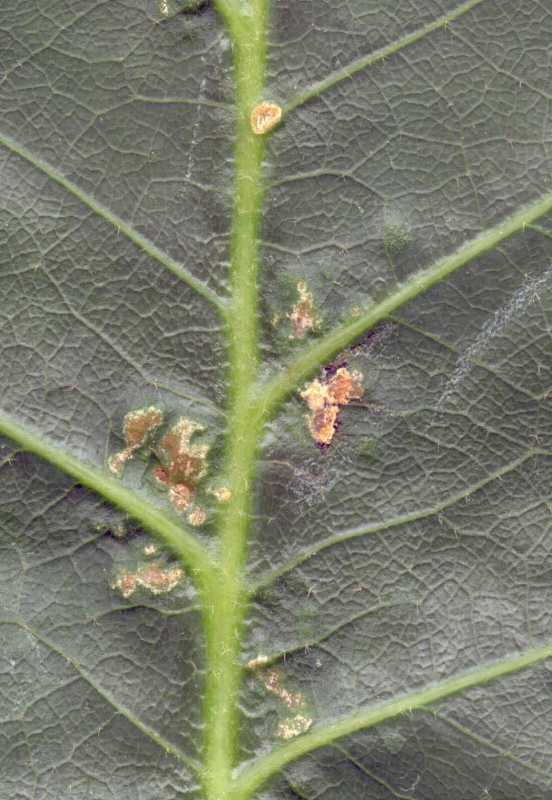 Mottled and yellow leaves with tiny winged insects and scale-like larvae on the lower surface may be detected on infested plants. When disturbed, winged adults will fly in a "cloud of white". 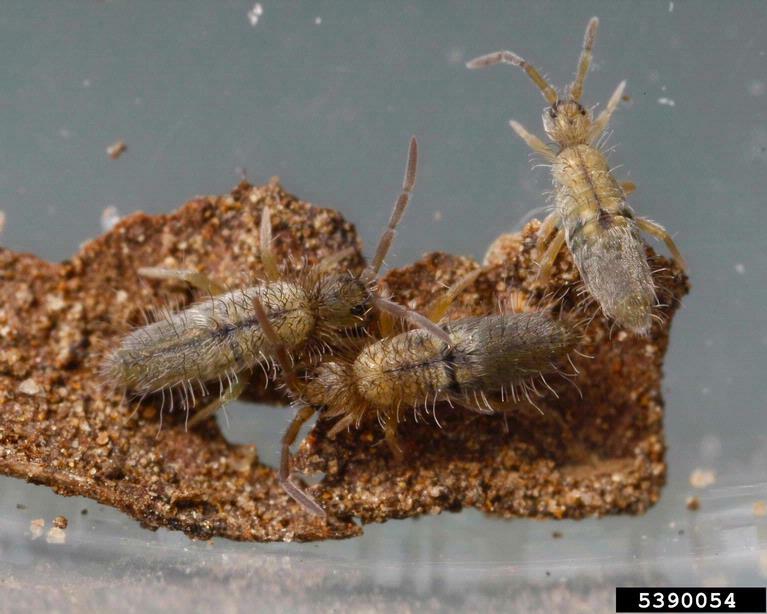 Springtails are gray insects less than 1/5” long that can be found in the potted plant soil. They prefer moist, damp soil and move rapidly when disturbed. To control, allow the soil to dry more between watering and be sure and remove any water that collects in the drainage saucer after each and every watering. Repot if needed. 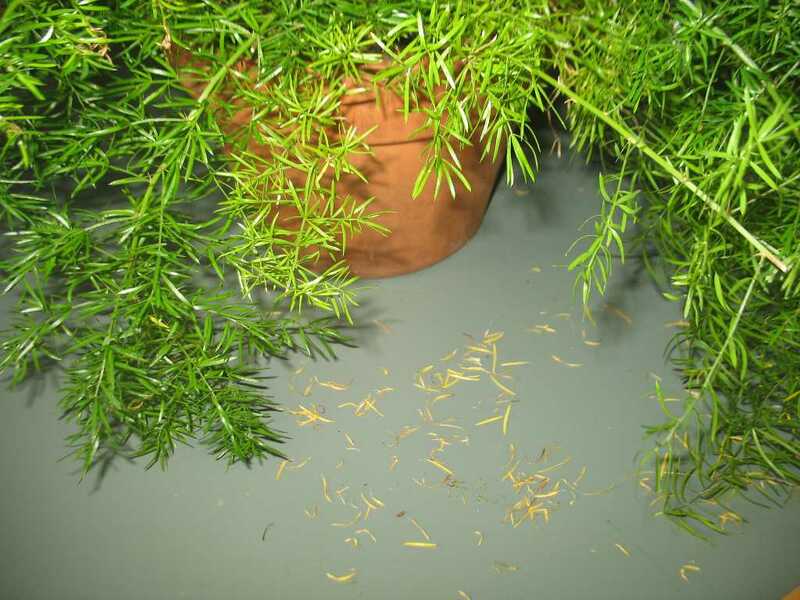 Dead seedlings and unhealthy roots may be caused by a fungus gnat infestation. These 1/8" dark winged adults are harmless and fly when disturbed but it is the black headed larvae in the soil that feed on plant roots or decaying organic material in the soil. 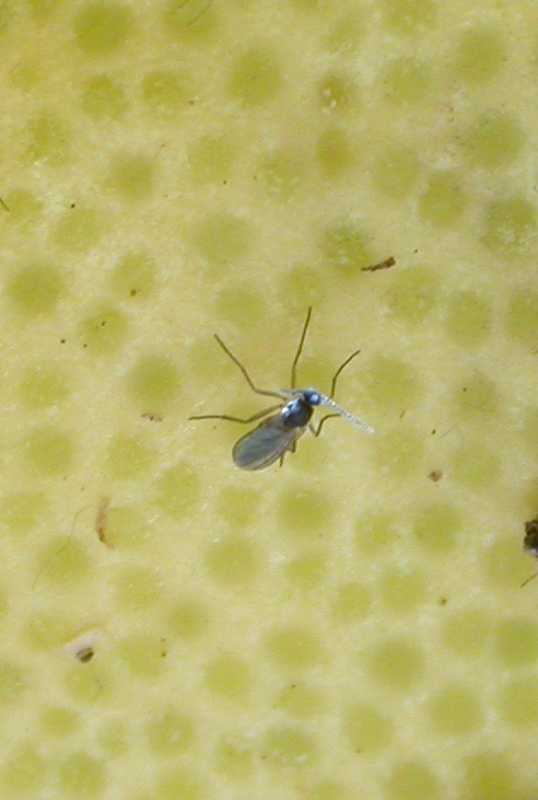 Thrips are rarely seen because of their small size. These insects feed by rasping the surface of the plant parts with their single large mandible and slurping the plant juices that seep from the wound. Flowers or leaves may develop silvery streaks. 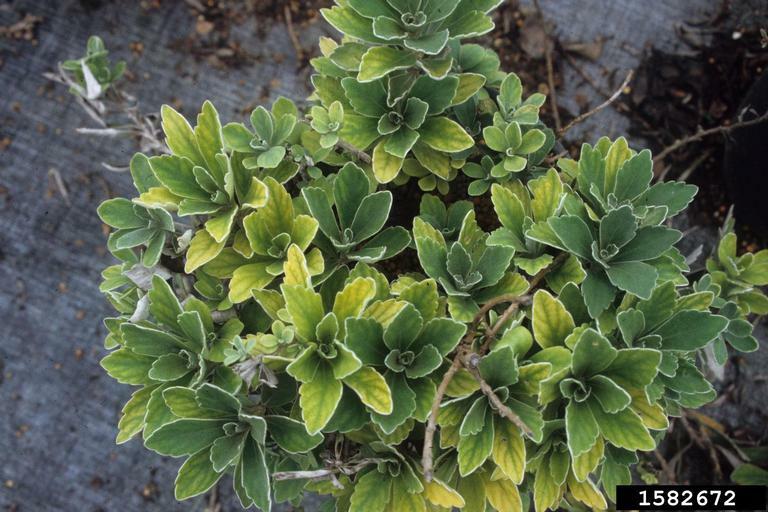 Heavily infested leaves appear brownish or silvery, and growing points may become contorted. They also favor opening flower buds. Root rot is most often the result when a plant is overwatered or the plant is grown in too large a pot or a pot with inadequate drainage. Turning the plant out of the pot and examining the roots can confirm the condition. Above ground parts can also develop rots. It is best to dispose of plants with root rots but plants with just a stem or small part of the plant with a rot, may be salvaged by pruning out the rotted part. 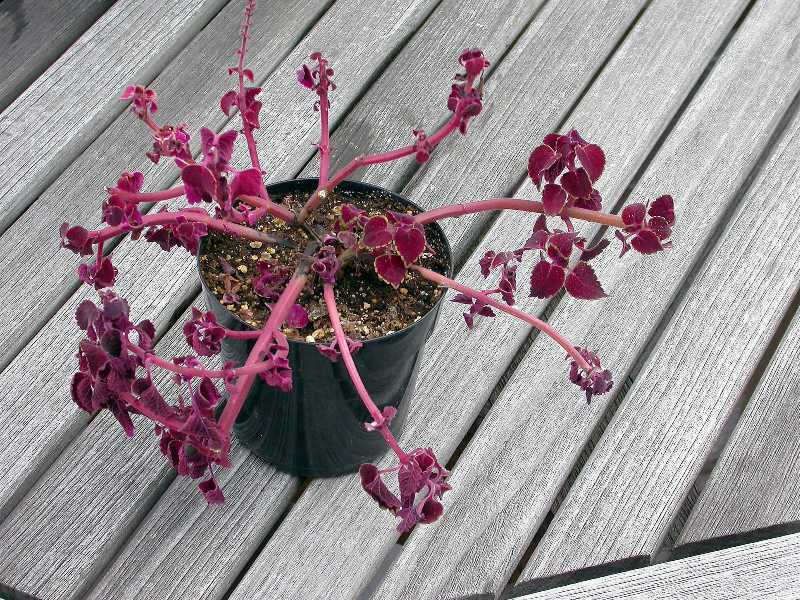 A plant with root rot may be a candidate for rooting stem cuttings of unaffected shoots. The upper surface of leaves, stems and flowers develop a white powdery growth. Prune off affected foliage and increase air movement around the plants. Leaves and/or flowers develop a white growth, which later turns a dark gray. This disease will spread by wind and water. Discard the faded flowers and maintain good sanitation. Improve air circulation around the plants. 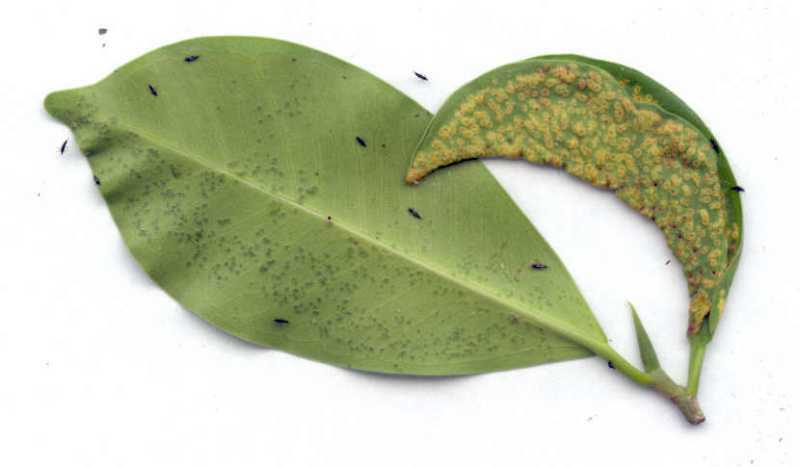 The classic symptoms of viruses is mottled foliage or ring-spots. Since viruses circulate internally in the plant, no treatment is effective to rid the plant of the virus. Once a plant is diagnosed with a virus, it is best discarded as many viruses can infect a wide range of plants. The classic symptom of iron deficiency is new leaves turning yellow but the veins remaining green. It is most prevalent on new, upper growth but eventually the whole plant may be affected. This is most common on plants that require an acid soil, such as azaleas. The oldest leaves turn yellow at the margins and progress inward, which may lead to defoliation and reduced growth. 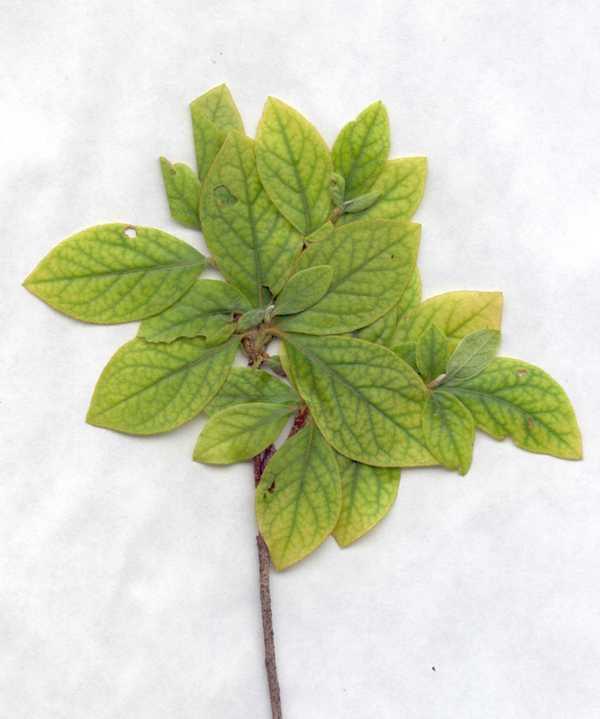 When severe, only the new growth remains green while the rest of the foliage is yellow. An application of a fertilizer with nitrogen can give quick green-up effects. For an overview of how the indoor growing environment can affect indoor plants please see "Environmental Problems of Indoor Plants". Decline of plants kept too dry is very common. 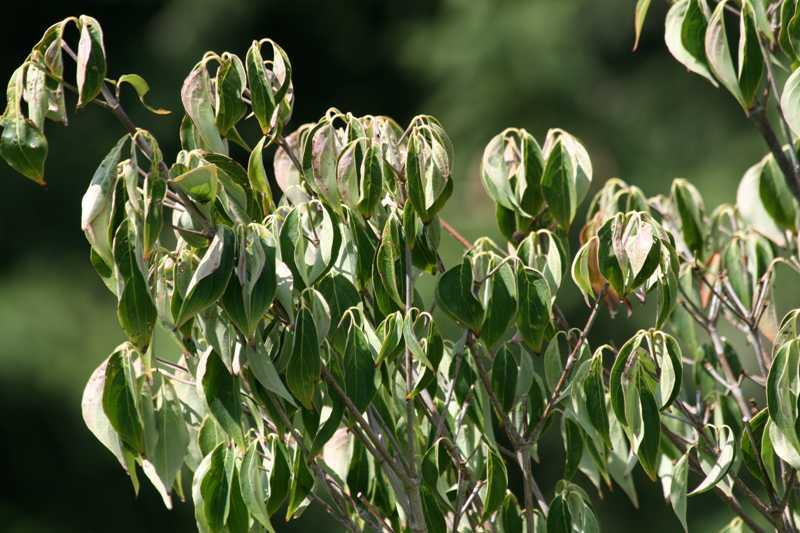 Wilting leaves, slight drooping or an off color can signal a plant is getting too dry. Learn when and how to water plants correctly. For small pots a quick and easy guide is to lift the pot. If it is light, it is in need of water. Don't be afraid to tip a plant out of its pot to examine its roots while you learn to water correctly. Beware, once the soil in a pot gets very dry it may need to be soaked to get it properly wetted again. 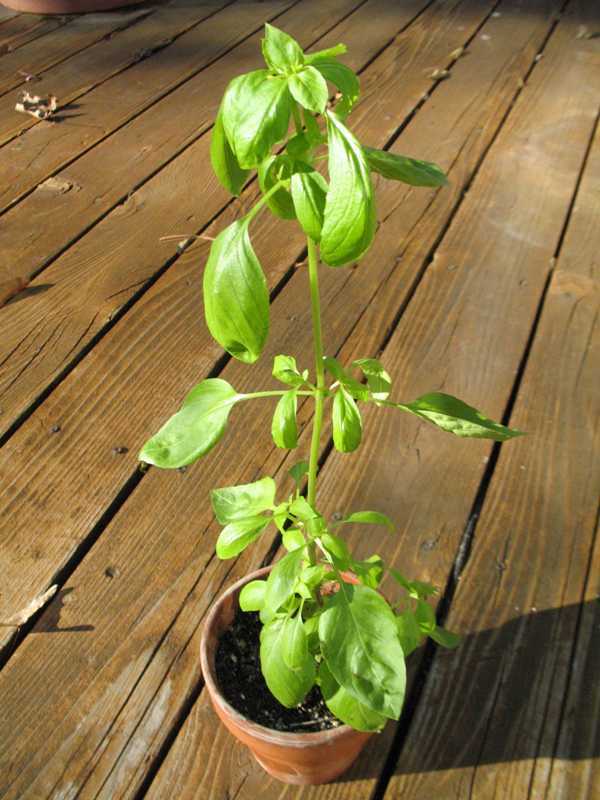 Even if watered, the plant may be on a spiraling course of decline and may not recover after the period of drought. Some people say more plants are killed by overwatering than anything else. Learn how to water properly. Wilted leaves may indicate the soil is too dry OR too wet - rotting roots cannot take up water! 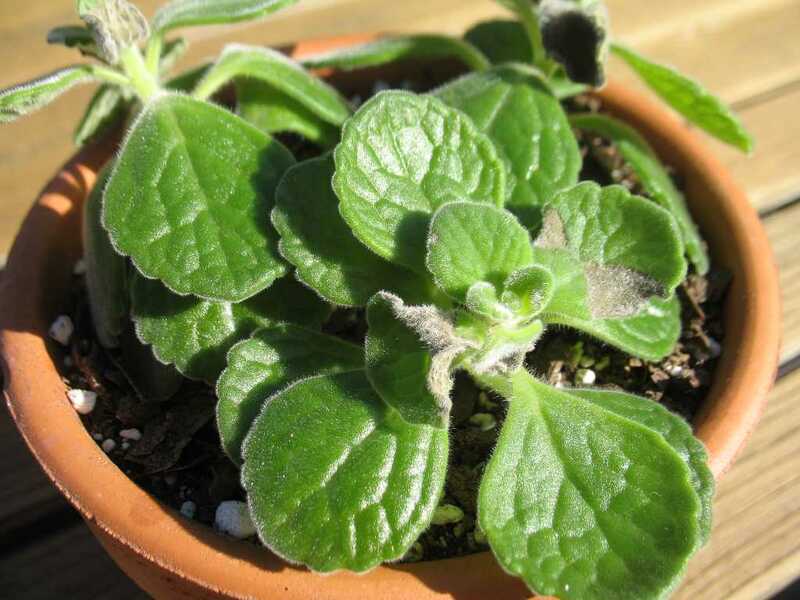 Plants may have dull, light green or yellowing leaves. Roots are brown and soft. 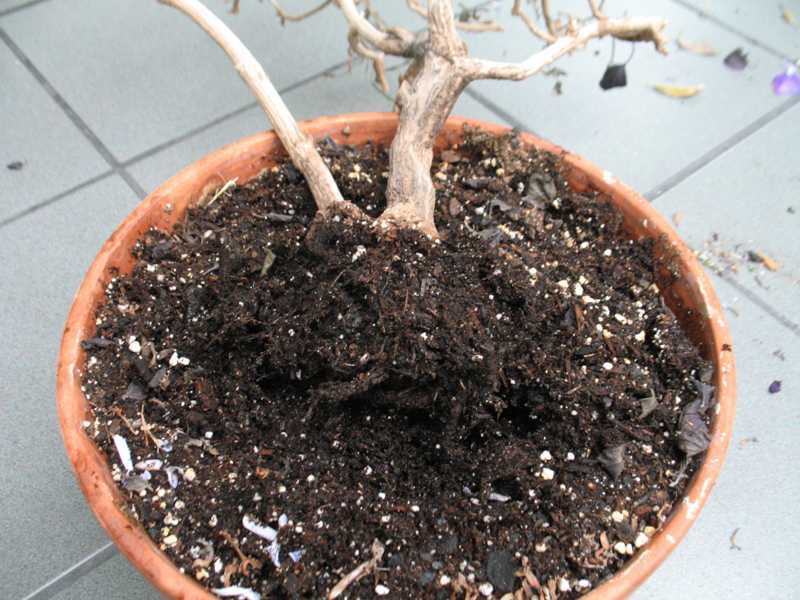 The soil at the bottom of the pot may be wet and release bad odors. Having plants standing in water or growing in pots without drainage holes is asking for trouble. Repot if plants are growing in a pot without drainage. Leaves or tissues turn brown or tan on the side of the plant directly aligned with the sun. This pattern is a good indicator of sunburn. In may cases the plant will still grow but may be stunted for a while. Move the plant out of direct sunshine. Remove the damaged tissues. As plants are watered and fertilized, salts and other chemicals build up in the soil. At high levels, a typical reaction is for the tip or edge of leaves to turn yellow or brown and slowly die. To reduce salt build-up, regularly place pots in a sink and run water through the pot 3-4 times to help "wash out" the salts. Repot regularly. 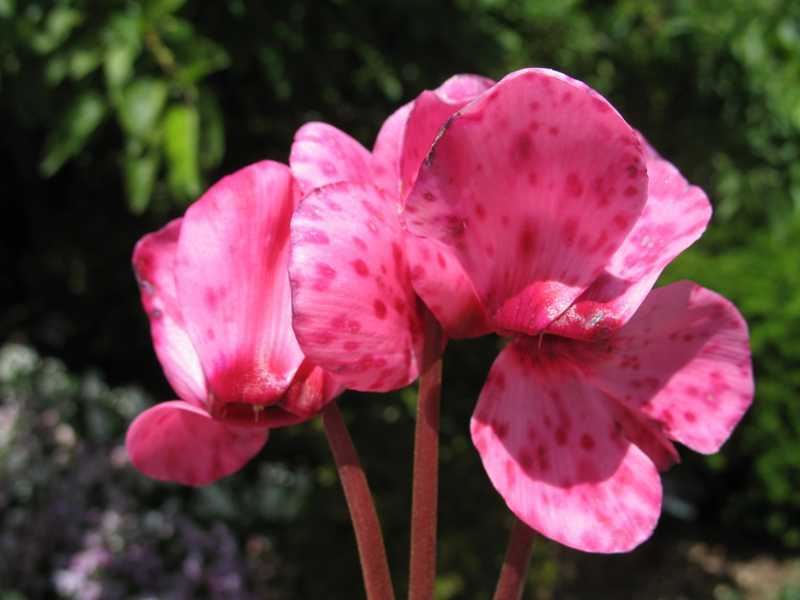 Any stress, such as lack of water, overwatering, temperature change, reduction of light or relocating of a plant can result in leaf and/or flower drop. It is a very common initial reaction to a stress placed on the plant. If the cause is not drought or overwatering, the plant may slowly adapt to the new location. Leaf drop is often a certainty when plants are brought indoors after being summered outdoors. Less light, lower humidity and hot air from indoor heating will result in leaf and/or flower drop. Plants not receiving enough light often have light green foliage and begin to stretch or lean towards the light. Some plants will also drop older leaves. Read about your plants to learn their light requirements. Plants growing outdoors for the summer and wintered indoors rarely receive the amount of light they want and will invariably drop leaves. Oedema is a physiological disorder that develops when roots take up water faster than it can be used by the plant or transpired through the leaves. Water pressure builds up in the internal cells of the leaves causing them to burst, leaving dead cells that are visible as a blister, primarily on the undersides of leaves. It is often the result of erratic watering. It can be confused with scale or other insects or even disease. Exposure to chilling temperatures, even if not freezing, can damage tropical, subtropical as well as other plants. Dropping, wilting or discolored leaves or spots on leaves can be signs of chilling injury. If not severe, damaged foliage may be able to be removed and the plant will survive. Tropical plants growing in extended periods of cold temperatures may lose vigor, be stunted, turn yellow and die. Wet soil and cold temperatures often lead to root rots.